Welcome, to all listeners - our audience is a vital part of this podcast, so please stay involved, we love to hear from you. Don’t forget to tell us about your favourite tools, how you use them, books and podcasts which have inspired you… email, or drop us a quick note, it’s always great to have more listener voices on the show. Remember how easy it is to share audio files, and they bring a new dimension to our sense of connection in the remote space. Look out also for the 6 part email coaching series, written to accompany Thinking Remote: Inspiration for Leaders of Distributed Teams - you can sign up for the free coaching series, even if you haven’t read the book yet, and thank you to everyone reviewing and feeding back your thoughts on both products, we really appreciate it. 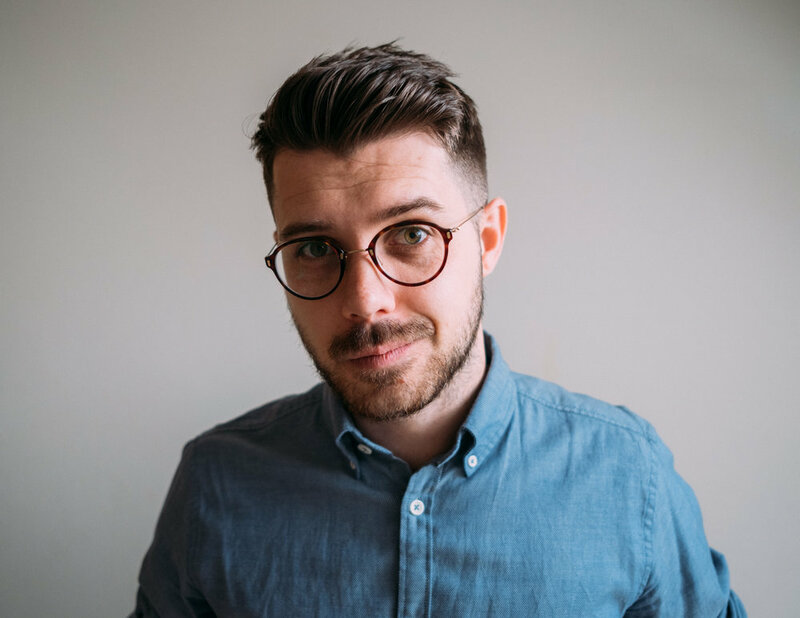 Marcus is the mobile lead at Buffer, and joined us in our first episode of 2019 from maker to manager, but we wanted to catch up with him again to talk about connecting across a global team. At Buffer they try to avoid giving undue weight to location in recruitment, because it can distract from the hiring criteria which really matter and people move around anyway - so geographical factors can always be overcome. But now Marcus’ team work across 5 timezones from Taiwan to San Francisco, which has made real-time team calls a problem -s o they have implemented some creative alternatives, including a useful tool Carrot for sharing updates asynchronously. Communicating in this way has helped them to be more deliberate and intentional, as well as enabling introverted team members to shine in a way that online calls don’t always facilitate. It creates an interesting balance between the other channels of communication, to use this tool specifically for sharing updates on a fixed day each week, but across multiple timezones. Bringing an entrepreneurial mindset to such temporally distributed work is essential, because micromanagement does not work where multiple timezones are in play. Autonomy, initiative and self-motivation are needed, to get things done as part of a team, while the rest of the team is offline or asleep. Marcus considers that there is no such thing as over-communication in remote - you have to repeat things more than once, and this also fits with his personal principles of total transparency and trust within the team and organisation, very much in line with Buffer’s publicly stated position as well. Artificial harmony (which we have discussed in a previous episode) has to be avoided at all costs, people need to feel safe to say what they really think - a successful team isn’t everybody being happy all of the time, because differences of viewpoint are natural and important. For this reason Buffer have stopped calling themselves a ‘family’ - qualitatively the relationships are, or should be, very different, and blurring boundaries is unhelpful. Keep in touch with Marcus on Twitter - he’s always happy to connect and expand his network. We try not to talk about “tips” and “hacks” at Virtual Not Distant on principle, and this article from Fast company Science explains why productivity hacks and resolutions are practically destined to fail usefully encapsulates why - the fact that change is a process, not an outcome you can check off and mark as done (and productivity is a long-term practice, not something you can simply apply at a stroke). Creating sustainable change in habit and behaviour is challenging, but incredibly worthwhile - so you need to project-manage it as a change process, and allocate the effort and resources, as well as accounting for the potential opportunity costs of making change (such as learning curves or temporary productivity dips as you embed a new practice). It’s not about a new resolution or tool or app, which is going to make the change for you. There are no shortcuts. And while you can change more than one thing at a time, focussing on specifics and ensuring new habits are securely adopted before moving on can create more lasting transformation. Change is not a single moment in time, it’s iterative, creative, and needs to be in sync with our fundamental nature - something to bear in mind when working with a team, containing a range of character types and different motivations. 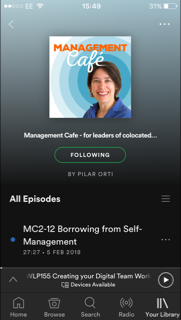 Pilar also commented on this article in Ep 31 My Pocket Psych, and see also this article from Atlassian, Productivity - hacks or myths. Vladimir Smolyakov is the social media manager for Vivify Scrum, which was a platform they built initially to fulfil an internal need at Vivify Ideas for managing Agile software development processes. It works right out of the box to implement the Scrum framework (though it can be used with Kanban approaches), with great interactivity and flexibility whether for small teams or large organisations. It’s composed of various transparent boards users can invite participants to with embedded Scrum tools (backlog, sprint planning, time tracking/estimation, checklists etc), in order to speed up and streamline the project management process. The time tracking operates as a standalone app or browser plugin. They also offer a Scrum education portal , to provide accessible and engaging information about Agile and Scrum for all of their clients. The app is offered on a freemium basis, with pro features unlocked on purchase after a free trial. Vlad and his colleagues actively welcome user feedback, so that they can continue to improve and develop their product - so do email or tweet them with your thoughts.